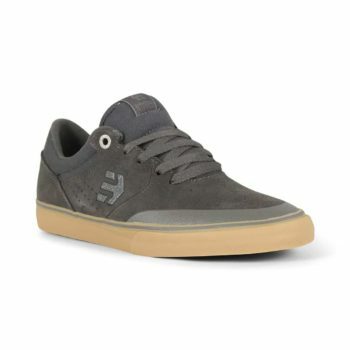 The Etnies Jameson 2 Eco is one of Etnies all time classic shoes and is made from a recycled rubber outsole and is part of the Etnies "buy a shoe, plant a tree" program. 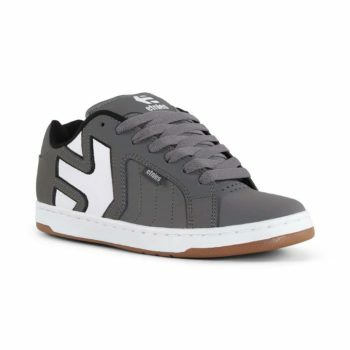 The Etnies Kingpin is a classic Etnies shoe that has stood the test of time, the Kingpin has been in the Etnies collection for at least a decade and its popularity does not seem to be fading; a simple yet classic skate shoe design with a durable cupsole and padded tongue and collar for comfort. 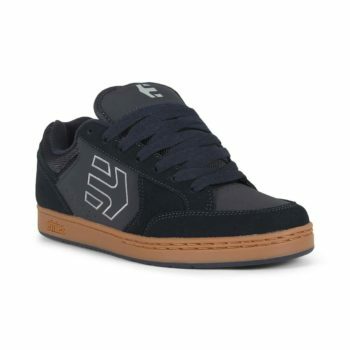 Trademark etnies “E” logo on side. Stitched 400 NBS rubber outsole. The Etnies Fader is a classic court shoe silhouette that has been a mainstay in the Etnies seasonal footwear collections since the early 1990's; with simple upper styling and a durable rubber cemented cup sole, the Fader has remained dominant for 20 years and looks set to see out a few more yet. 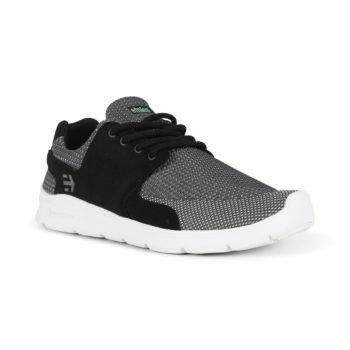 The Etnies Fader 2 is a classic court shoe silhouette that has been a mainstay in the Etnies seasonal footwear collections since the early 1990's. 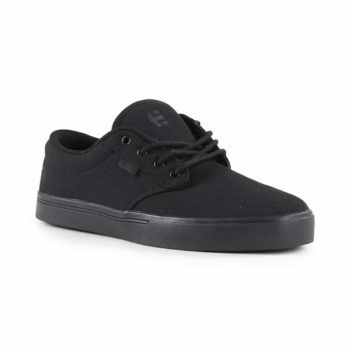 With simple upper styling and a durable rubber cemented cup sole, the Fader has remained dominant for 20 years and looks set to see out a few more yet. 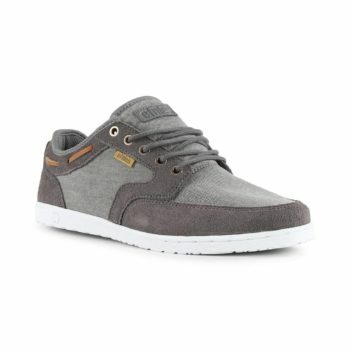 The Etnies Jefferson MTW is a winterised adaptation of the Jefferson Mid, giving you the best pf both worlds when it comes to skate aesthetic and practicality. 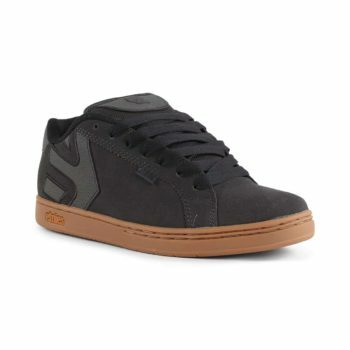 Pure gum, reverse lug outsole giving great traction and has a particularly low freeze rate. 3m thinsulate and scotch-guard treatments, also with microfleece quick dry lining to keep you dry and cosy. Gusseted tongue keeping the moisture out. 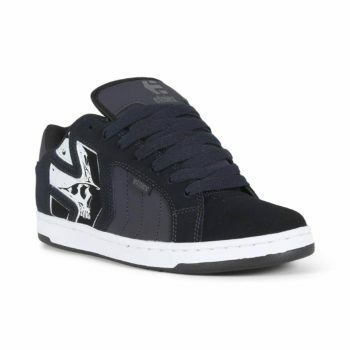 Featuring a Foam lite 1 insole. 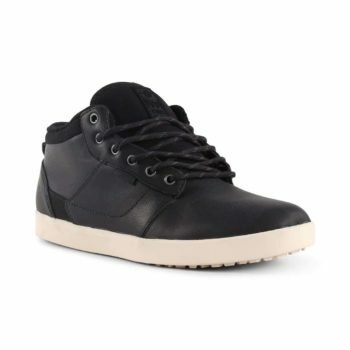 Midtop silhouette for ankle support. One piece clean toe design. 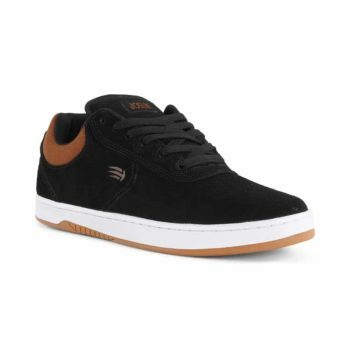 The Etnies Swivel is a classic skate style shoe with breathable mesh, elasticated tongue straps, with a durable outsole and extra padding in the collar for comfort; this shoe is simple but well constructed and durable, and features some custom logo details. 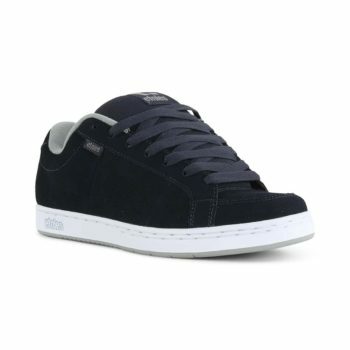 Foam padded tongue and collar. Doube-stitched toe cap and Ollie area. The Etnies Scout XT is an update to their hugely popular Scout shoe, this iteration features an updated upper design giving the shoe a better shape leveraging the new "hot melt" construction technique. 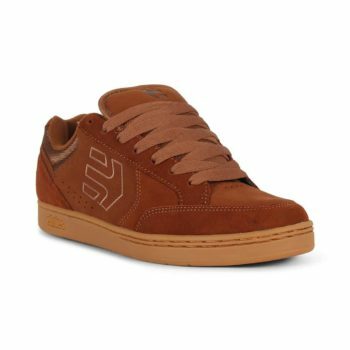 The Etnies Marana Vulc is an adaptation of the classic Marana that was originally designed and developed with Ryan Sheckler. 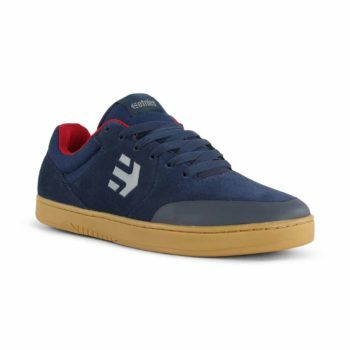 The vulcanised sole allows for more flexibility and board feel, while remaining supportive and durable, also featuring the high abrasion toe cap adds wear-resistance where it is needed most and elasticated tongue straps hold the foot snugly and comfortably.